Kolkata/Mumbai: A month-and-a-half after banking secretary D.K. Mittal issued a directive saying that by 31 March there should be at least one bank branch in each village with a population of 5,000 or more people in West Bengal’s three districts, the finance ministry issued a note (on 21 October), expanding the mandate for the whole country. Banking correspondents are people who distribute services and financial products door-to-door. The finance ministry’s new guideline is a bit more generous with the deadline and population—30 September 2012 and 5000 respectively—but mandated that there be a bank in these villages. 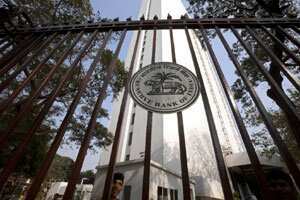 RBI has identified 296 districts across the country where there is less than one branch for 14,000 people. Only about 5% of India’s 600,000 villages currently have bank branches, according to the 21 October circular. As per RBI data, by March 2011, banks had covered 53,397 villages with a population of at least 2,000 and 46,443 villages with population of less than 2,000. Out of this, they had opened branches in 22,684 villages while 76,801 villages were reached through business correspondents. The finance ministry’s new guideline stipulates that there should be at least one bank branch in every 80 sq. km in each of the 296 under-banked districts. To comply with the finance ministry’s September directive on expansion of banking services in three West Bengal districts—Murshidabad, Malda and Birbhum—banks would have had to collectively set up at least 150 new branches in Murshidabad alone. Union finance minister Pranab Mukherjee is a native of Murshidabad; he was elected to Parliament twice from the district’s Jangipur constituency. His son Abhijit Mukherjee was elected to West Bengal’s legislative assembly from the Birbhum district. Mittal had said that these new branches could be “scaled down branches with not more than two" employees, but they must have automated teller machines, or ATMs. A full fledged ATM costs between ₹ 1 lakh and ₹ 5 lakh but cheaper micro ATMs can be developed for rural areas. So far, business correspondents transact in villages through hand-help point of sales devices. “The ministry has now set for the banking industry a much bigger challenge than what the banking secretary (Mittal) did with his 12 September directive to our chairman," said an official of the Kolkata-based United Bank of India, which is the lead bank in the state level bankers’ committee, or SLBC, in West Bengal. Under the new guideline, banks have been asked to extend services through banking correspondents or branches in all villages with 1,000 or more people in sparsely populated states such as Arunachal Pradesh, Himachal Pradesh, Meghalaya, Mizoram, Uttarakhand, Chhattisgarh, and in union territories such as Andaman and Nicobar Islands, Daman and Diu, Puducherry and Lakshadweep. This is the first time it has been mandated that “bricks and mortar" branches will have to be opened in villages with 5,000 or more people. “This is bit of a challenge for us," said an executive director of a large Mumbai-based public sector bank. “So far, we were experimenting with physical branches, satellite branches or business correspondents. But eventually all banks have to move to full branches," added this person who did not wish to be named. Most bankers said the September 2012 deadline is too tight. “It is a tough target to achieve. On our own we are trying to expand our reach even to villages with less than 2000 population. We have specialised one-man financial inclusion branches where it works as nodal agency for villages within a particular radius. But the latest directive will be tough to achieve given the small time frame," said another banker who also did not wish to be named. “It was not a problem as long as it was only about business correspondents. Sometimes, we used to overlap, but now more planning is needed," said the executive director quoted above. The 21 October note said the government is looking to transfer subsidies on goods such as kerosene and cooking gas directly to consumers, and to create the necessary infrastructure for it, banks must ramp up their rural reach.